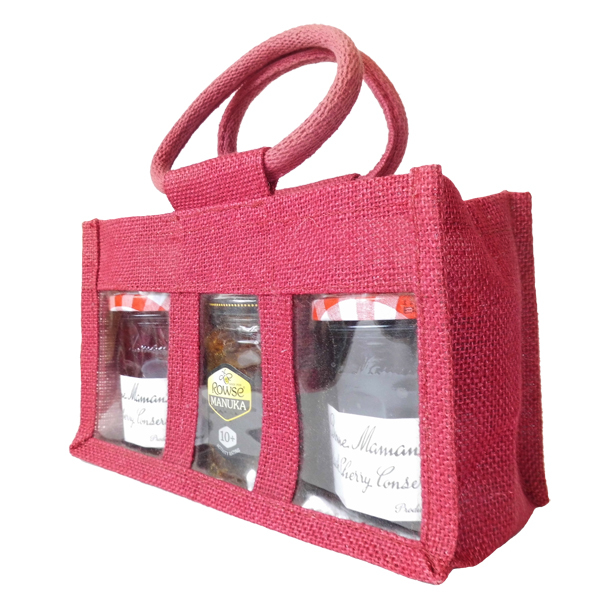 Red wine coloured 3 jar jute bag with window, partition and cotton corded handles. 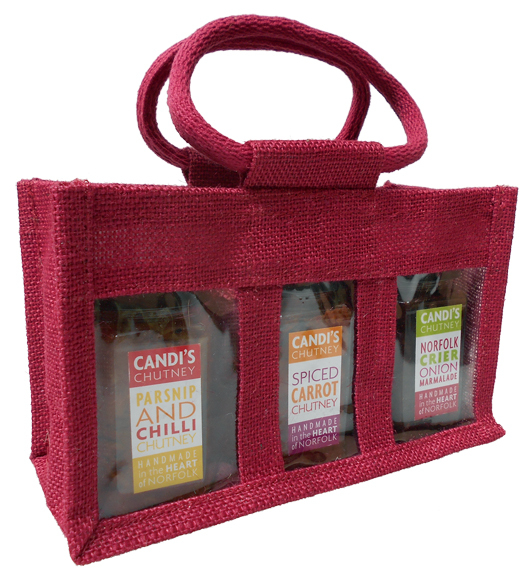 These are a great but inexpensive way to package jams, chutneys and even bags of sweets. 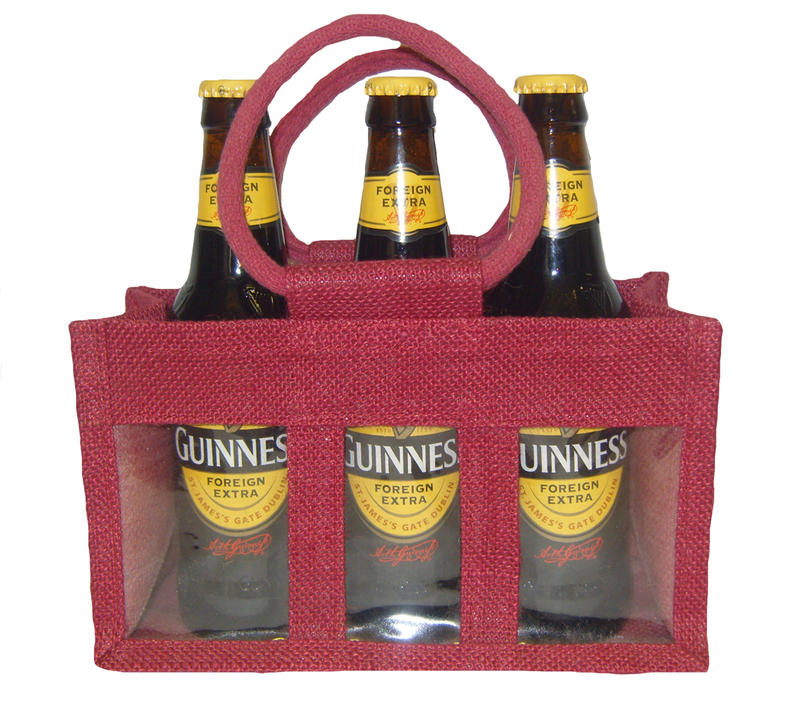 External measurements are approximately 24cm wide x 10cm deep and 14cm high to top of bag. Designed to accommodate 3 average sized jam jars.